The Innkeepers of the Willamette Valley have shared their choices for Thanksgiving Weekend Willamette Valley Wine Tastings. As you uncork these fine wines, keep in mind the Oregon’s winemakers that are stewards of the land. Many use sustainable farming practices in their vineyards where they delicately nurture their vines to produce incredible wines. Cork ReHarvest began the cork recycling movement in the US and Canada in 2008, helping to collect and recycle some of the 13 billion natural corks that are produced each year. Their work educates the public on the importance of preserving and protecting the Mediterranean cork forests. Cork collection boxes are placed in grocery stores, wine and bottle shops,and winery tasting rooms. They also partner with the Food and Beverage and Hospitality industries to collect cork at restaurants, hotels, wine bars, convention and performing arts centers. For a true taste of Oregon Geotourism we invite you to explore the 16 Wine Regions in our Oregon Wine Country and taste some of our quality wines. Be sure to take some home for your personal wine cellar and as gifts for family and friends. Make your reservation at an Oregon Bed and Breakfast Guild member inn. There’s one is every Oregon travel region. 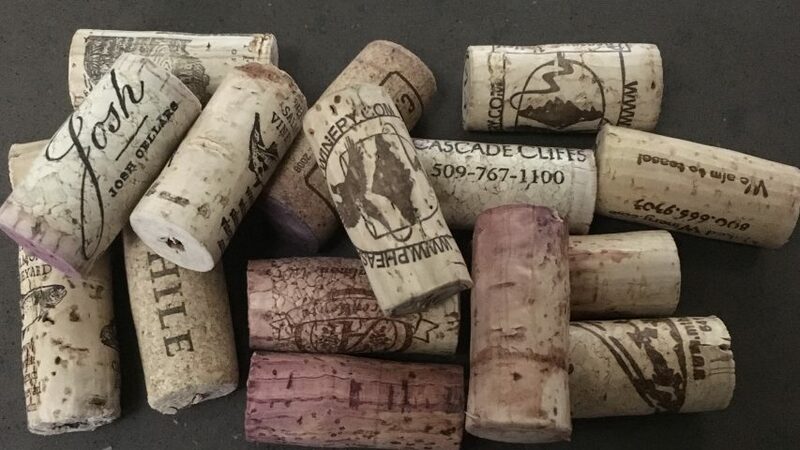 And after your sustainable travel vacation through the Wine Regions of Oregon is over and the last sip of fine wine has been savored be sure to recycle that cork.